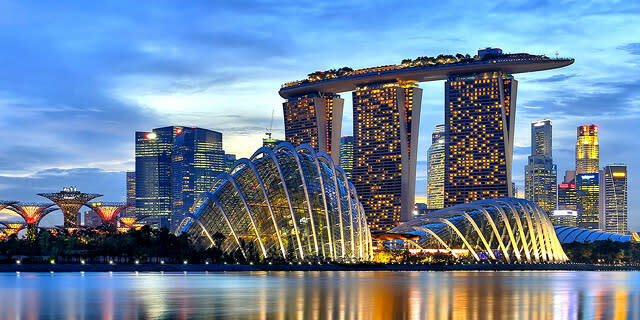 Explore Singapore, a city state at the crossroads of culture. Singapore warmly embraces the kaleidoscope of peoples that call the country home, and which you’ll discover in the cultural enclaves of Chinatown, Little India and Kampong Glam (Malay district). And this melting pot has left a lasting impact on the vibrant culinary scene, one of Southeast Asia’s best. 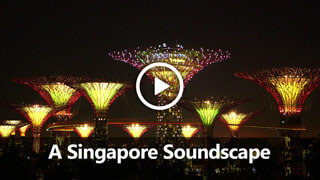 In recent years, awe-inspiring, futuristic attractions like Gardens by the Bay and Marina Bay Sands have enhanced the city skyline. However, the country still retains its charming, historic neighborhoods crisscrossed by crowded side streets still teeming with traditional vendor stalls. Nicknamed, the “City in a Garden”, Singapore is covered in greenery and full of impressive gardens, such as the Singapore Botanic Garden which is home to the world’s largest orchid display. 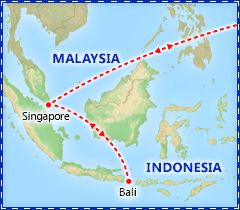 Then, continue your Asian adventure in Bali. Stay in artistic and wonderfully serene Ubud, the cultural epicenter of this lush and laid-back island. 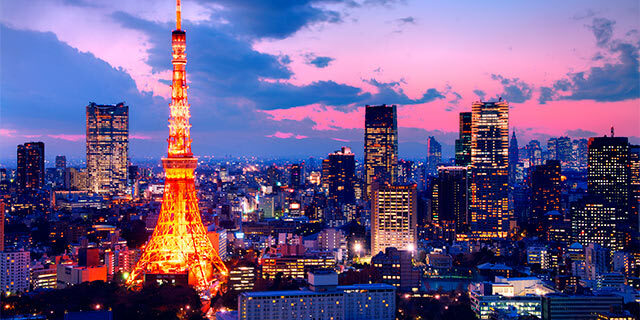 Hindu temples adorn the urban landscape while looming volcanoes and vibrant green rice terraces decorate the horizon. Ubud is the type of town where time takes a break, where days among the restaurants, cafes and artisan street stalls inadvertently turn to weeks. You’ll have a hard time leaving Ubud, and an even harder time forgetting it! Check in this evening at San Francisco (SFO) for your flight to Singapore via Hong Kong, departing shortly after midnight. 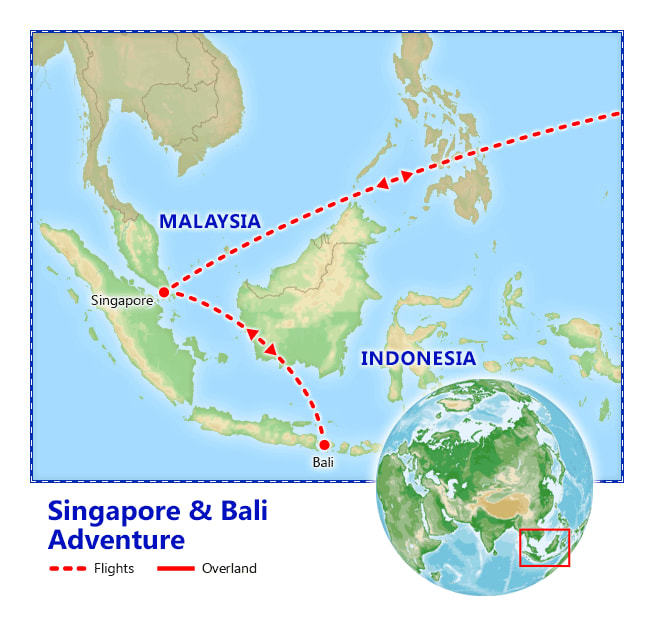 Depart SFO on your flight to Singapore. Accommodations: 3 nights Swissotel Merchant Court Singapore. Full Day Itinerary: Your morning tour of Singapore features a drive around the Civic District, passing by the Padang, Cricket Club, historic Parliament House, Supreme Court and City Hall. 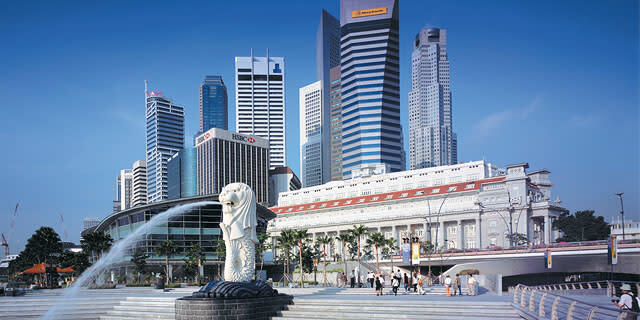 Next, stop at Merlion Park and enjoy the impressive views of Marina Bay. Then visit Thian Hock Keng Temple, one of the oldest Buddhist-Taoist temples in Singapore. Afterwards, make a stop at a local handicraft market. Finally, proceed to the National Orchid Garden within the Singapore Botanic Gardens, which boasts 60,000 orchid plants. The balance of the day is at leisure where you can perhaps explore the Gardens by the Bay or taste your way through Singapore’s many Hawker Food Centers. Next, explore the colorful market of Candikuning. Then, drive through some of the most beautiful rice terraces in all of Bali around Jatiluwih area. Enjoy lunch at a local restaurant located in the middle of a tranquil rainforest on the slopes of Batukaru Mountain, a relaxing setting for a traditional Balinese lunch. Afterwards, explore some of the Jatiluwih rice terraces, where the guide will explain the incredible irrigation systems that allow the people to harvest rice up to four times a year. Finally, return to the hotel for the balance of the day at leisure. 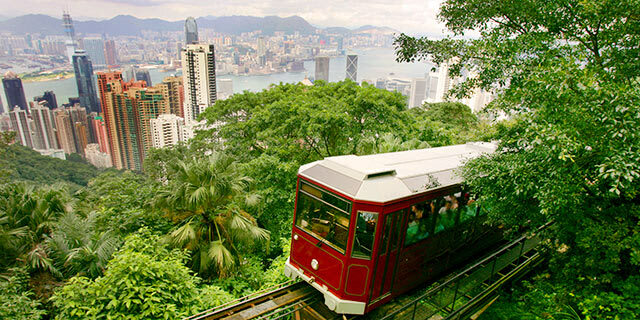 Optional Excursion: Day 8 - Eat, Pray and Love Day Tour, $185. Today you will get a true taste of the local culture, traditions and lifestyles with this immersive Balinese experience. Pray: Receive a blessing by a pedanda, a traditional Balinese priest, meet an astrologer who uses ancient methods handed down from generation to generation to read your fortune. Eat: You will experience the family techniques and learn more about the fresh produce, herbs spices and local Balinese cooking methods at the Kayun house, a neighborhood natural organic restaurant, it is named after a Balinese word “Kayun” which means, “Heart”. While the locals are preparing your dish, take a walk around the village compound to learn about the local architecture and layout of rural villages. Return to the house to dine on your tasty cuisine. Love: After lunch, complete your experience with a relaxing 1-hour Balinese massage. Note: A minimum of 2 passengers is required to operate. Optional Excursion: Day 9 - Half Day Balinese Cooking Class, $80. Transfer from your hotel to a local restaurant or guesthouse, where you will greeted by your chef and staff. Take a short walk to the vegetable market where you will browse the stalls with your guide- learning about the fresh spices, herbs and vegetables on sale. After your tour of the market, walk to the restaurant to commence the cooking. You’ll then meet in the kitchen, wearing aprons, and begin your cooking. Not only will you discover the herbs, spices and techniques of Balinese cooking but you will also learn about the ceremonial and cultural significance of food in Balinese society. The menu changes daily and after preparing the lavish feast, sit down to enjoy the meal together with a glass or two of local rice wine or homemade hibiscus tea. This tour is offered on a join-in basis and may include other participants. Note: A minimum of 2 passengers is required to operate.